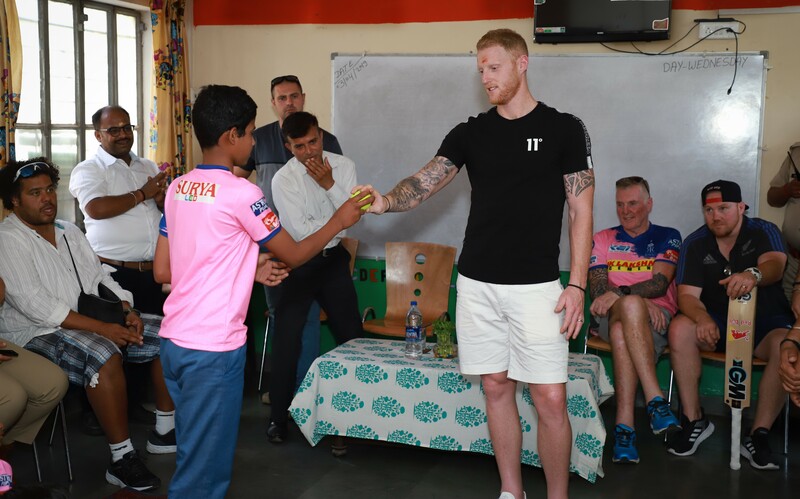 Rajasthan Royals and England all-rounder Ben Stokes extended his support towards ending child labour in Jaipur, one of the key projects of the British Asian Trust (BAT) in the Pink City. The Child Labour Free Jaipur Initiative is a multi-stakeholder partnership set up with the support of the British Asian Trust, with broad-scale support from state and district governments, Jaipur businesses, civil society organisations and local communities to make Jaipur free from child labour. The shelter home Stokes visited is a British Asian Trust partner that supports children in difficult circumstances by providing community-based rehabilitation for rescued child labourers and other children in need of care and protection. He interacted with the children, some of whom had been personally invited by Stokes and the Royals to watch the game against Royals Challengers Bangalore the night before. Stokes spoke with the kids about their favourite cricketers, and their dreams and aspirations; he also demonstrated his own favourite cricket shots to them and shared tips to become better cricketers.